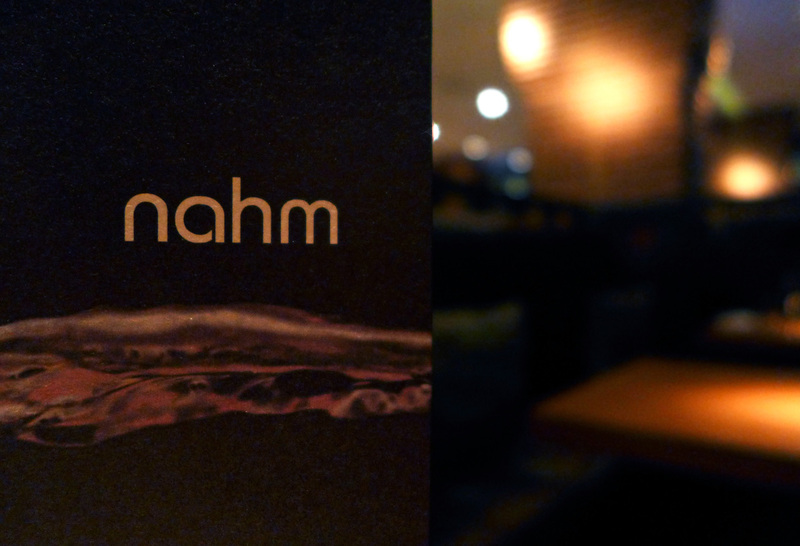 Restaurant `Nahm`, The Oriental city`s finest. 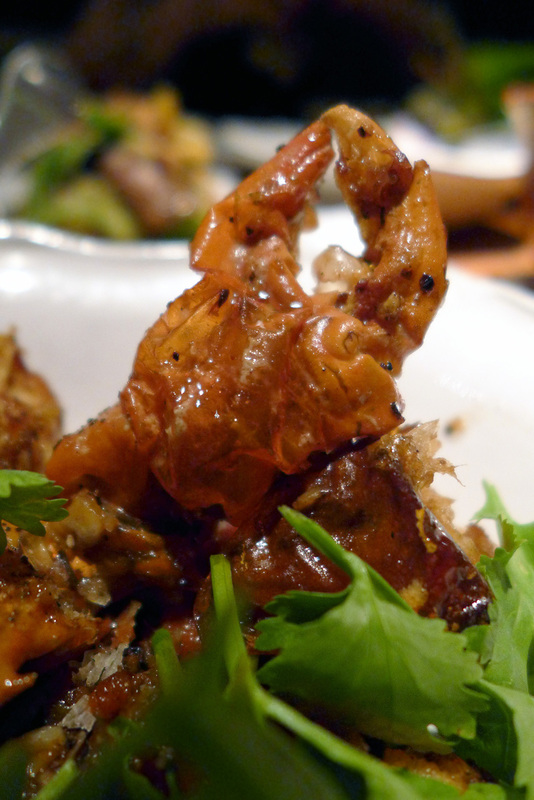 I won`t babble on about Nahm when i`ve done it a couple of times at length on here already. The most important thing is to actually see what you`re going to get to eat whilst you`re there so just take a quick look at the pics below. Anyone wanting more detail about the restaurant then simply have a little look at my previous post HERE. 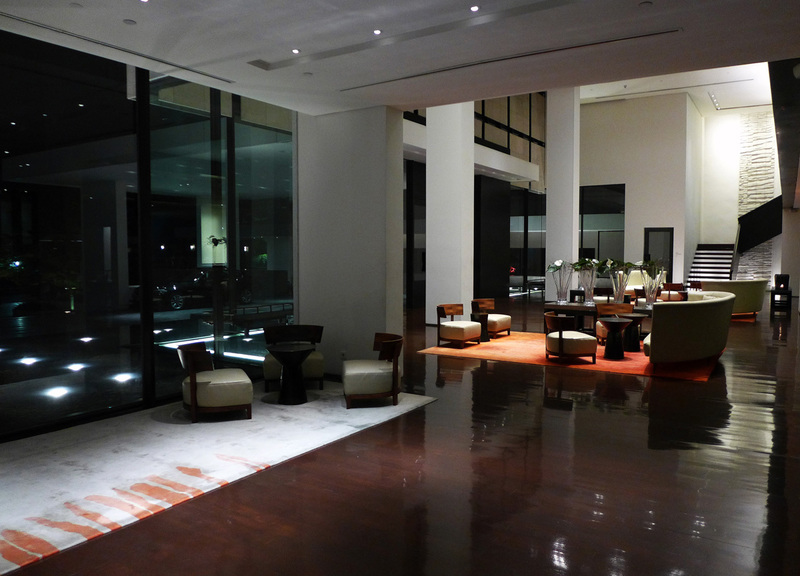 The beautiful lobby of The Bangkok Metropolitan hotel. 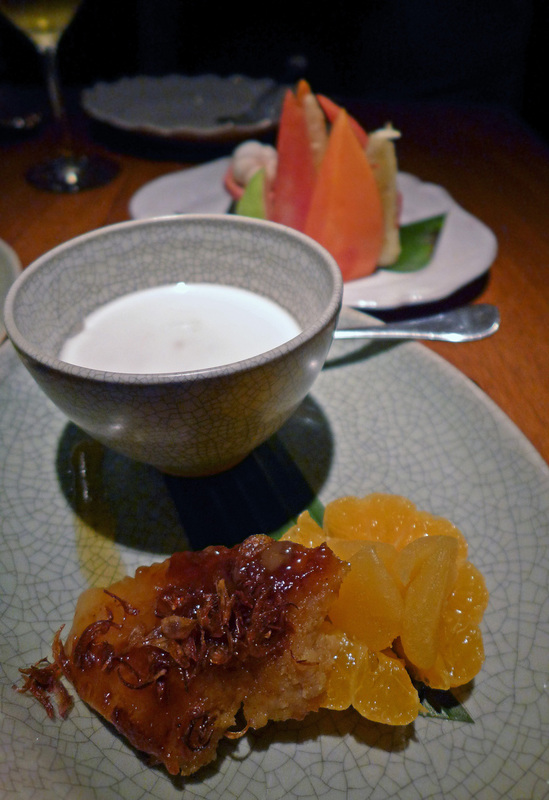 Ive been to Nahm 4 times now and every visit is more or less the same….or as the Thais say ” Same same but different “. I`ll probably give it a miss for a while now and start trying other places. 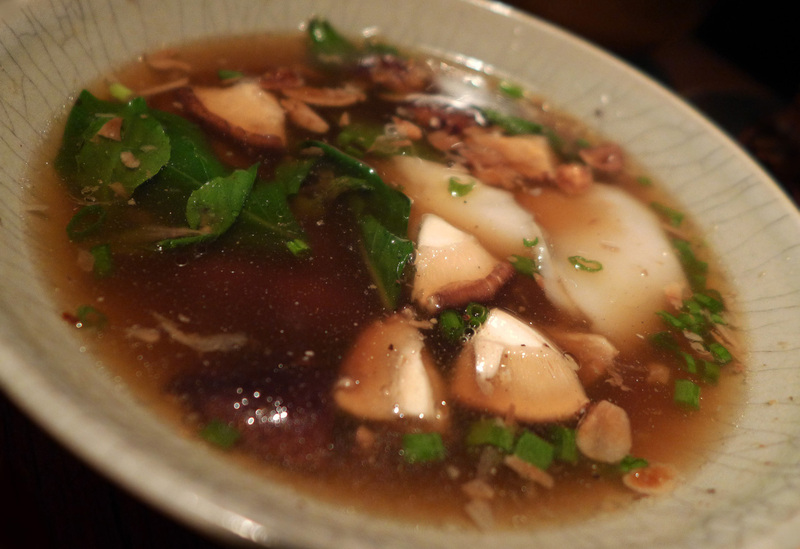 My trip to Sra Bua ( HERE ) was enjoyable and I`d like to eat here again although in a huge city based around food I could eat in a different place every day for the rest of my life .As far as amazing food goes then it really doesn`t get any better than Bangkok. 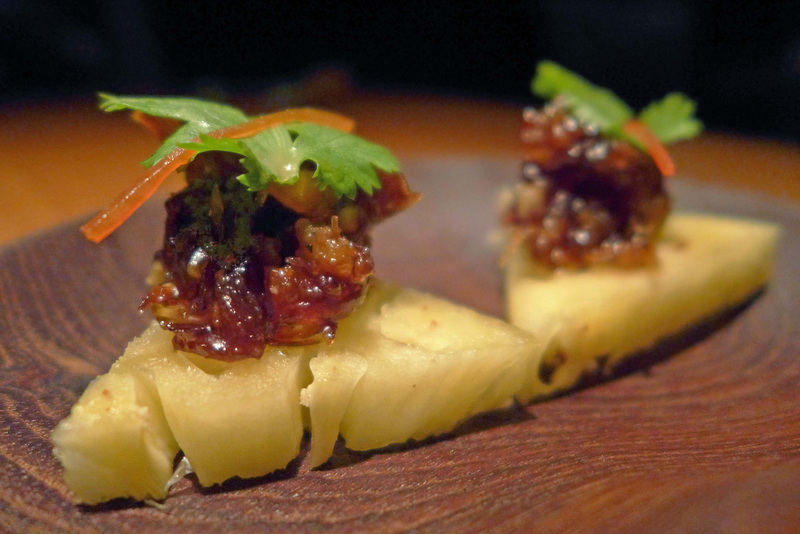 Dinner always starts off with little bites of “Ma Hor ” Minced Pork / Shrimp , Palm sugar , Tamarind and Peanuts sitting on top of fresh Thai Pineapple. 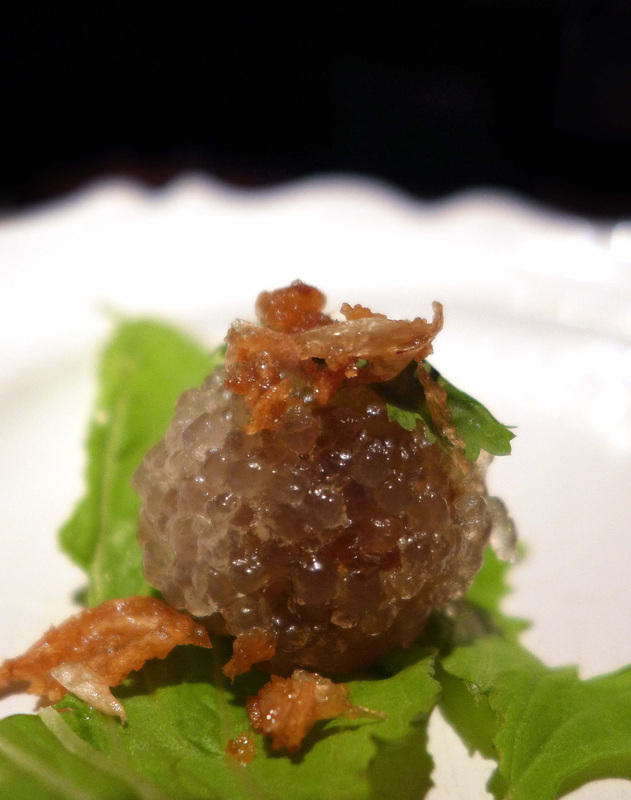 Smoked Fish , Peanut and Tapioca dumplings. 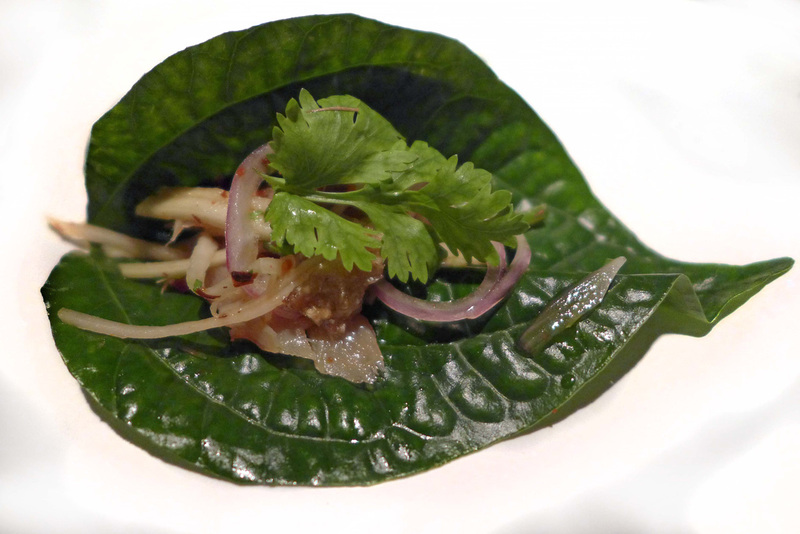 Salted Threadfin Perch with Ginger , Chilli and Green Mango on Betel leaves. 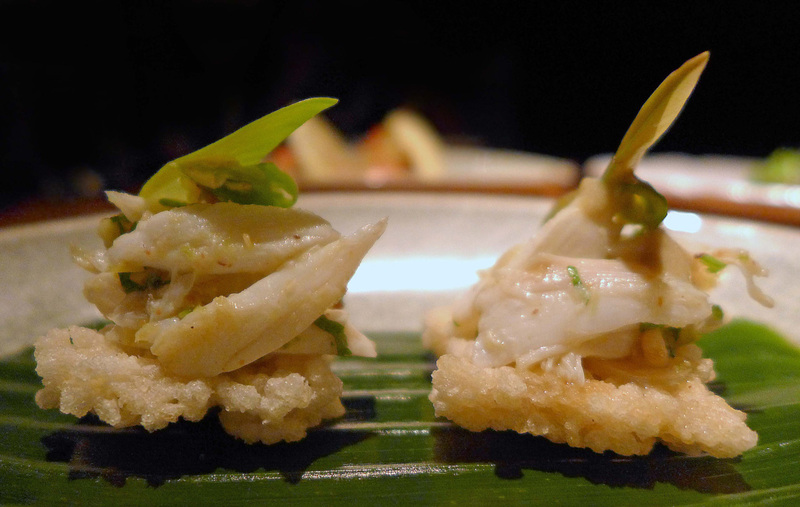 Blue swimmer crab with Peanuts and pickled Garlic on Rice cakes. 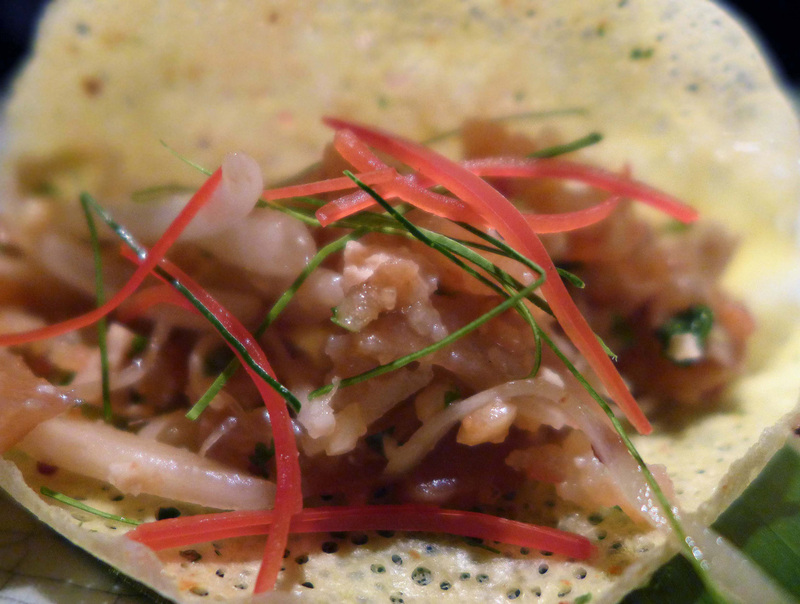 Prawn and Coconut wafers with pickled Ginger. If you like your meal spread out slowly over the evening then be prepared , it`s all pretty quick stuff here. 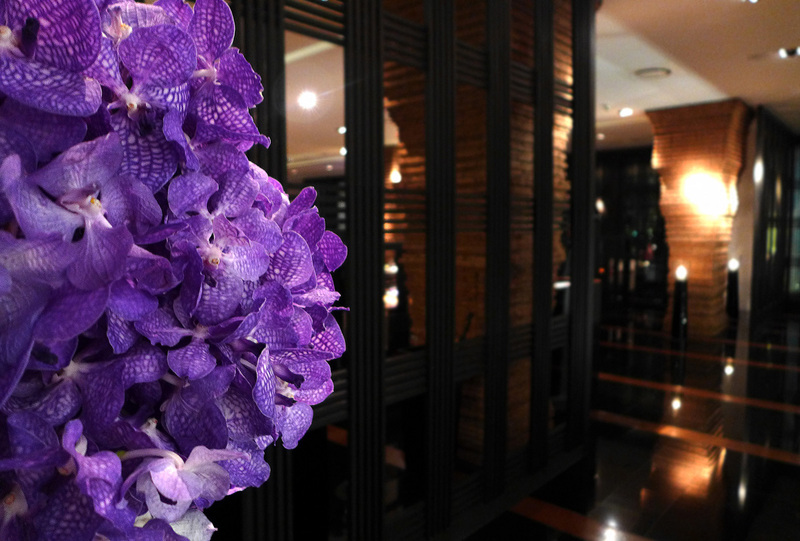 Once you`ve eaten the selection of Nahm appetisers , all of the mains arrive at once in traditional Thai style , soups , curries , salads and relishes all crowd the table in one delivery. I suppose you could request that the soup be served as a separate course to make the meal last a bit longer .Other than that you`ll be in and out of the restaurant in just over an hour. 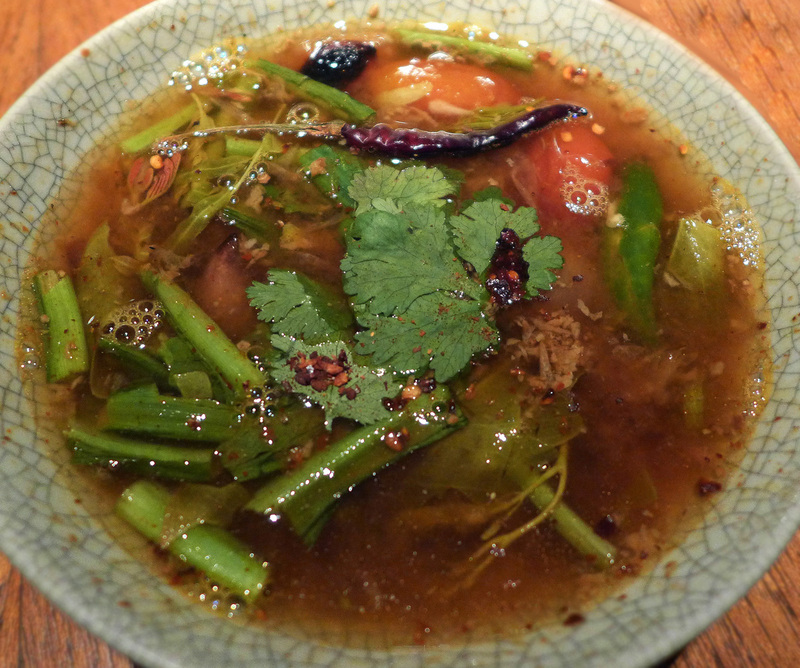 Smoked fish and shredded Prawn soup with sour leaves. 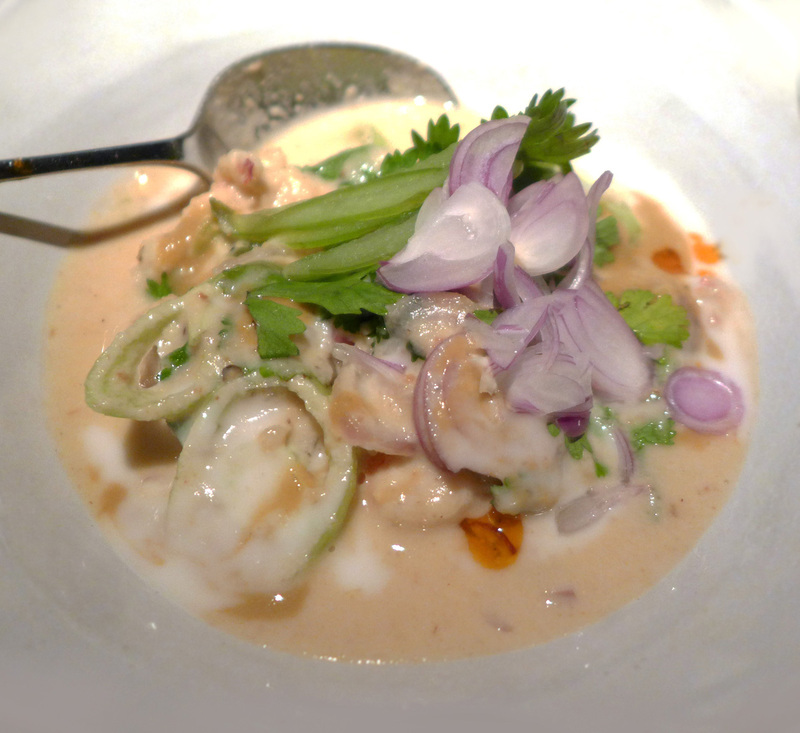 Minced Prawn and Pork , simmered in Coconut cream with young Chillies , Red Shallots and Coriander , fresh vegetables and deep fried cured Carp. 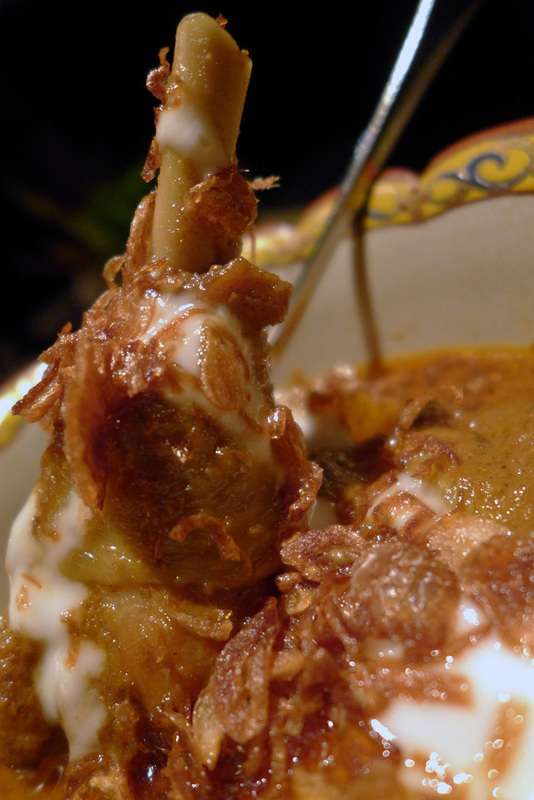 Aromatic curry of Chiang mai Chicken with sweet Potatoes and Shallots. 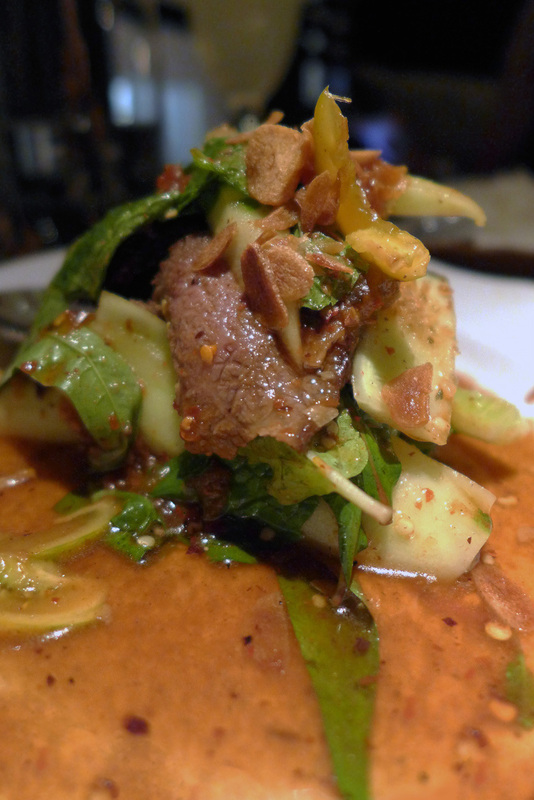 Grilled Beef salad with Cucumber and Mint. Deep fried cured Carp, quite possibly the worst thing I have ever eaten. 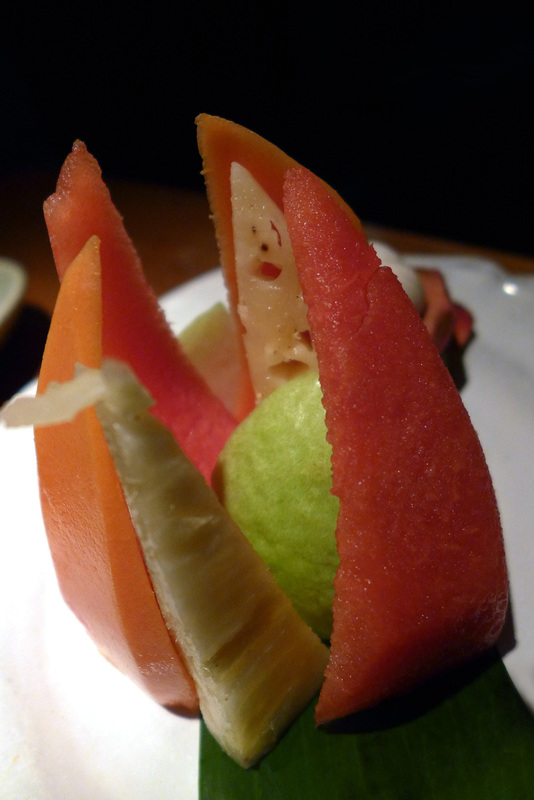 My Thai dining companion tried it and ended up pulling a face like a distressed Water Buffalo..not nice. 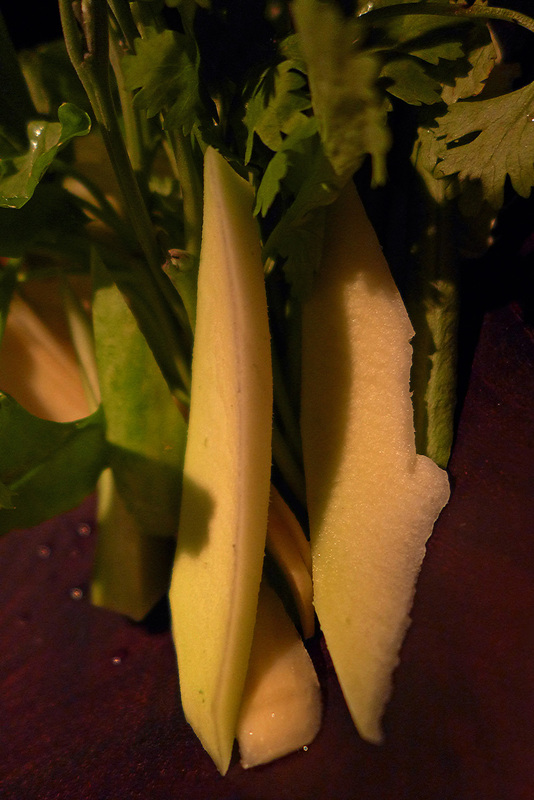 A selection of Thai herbs and unripe fruit accompany the main course dishes. 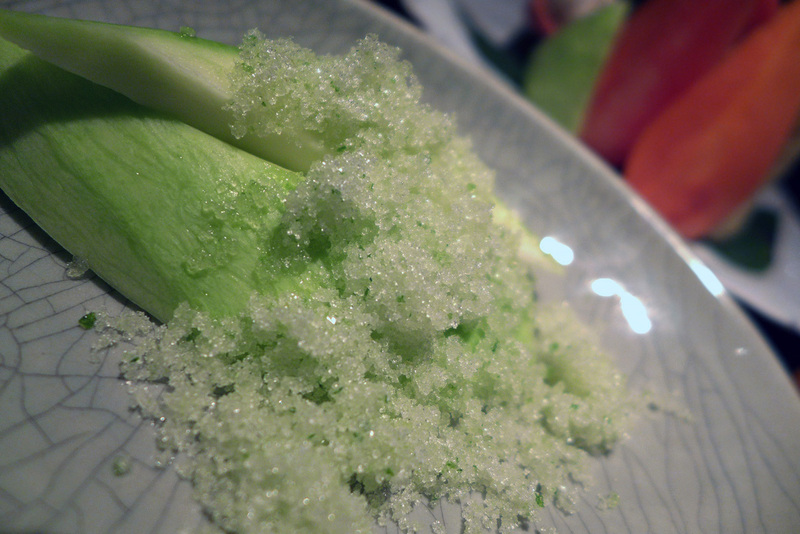 Unripe Green Mango is served before the sweet courses.This bitter fruit is accompanied by a sweet dip of Sugar , Chilli and Salt. Pistachio pudding with Golden tear drops and perfumed Mung beans in Coconut milk. 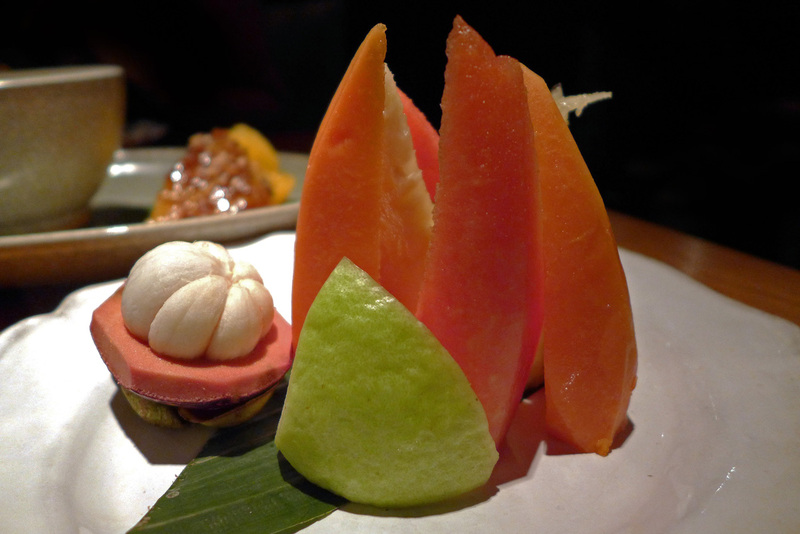 A refreshing selection of fresh fruits arrive as an Asian fruit salad. 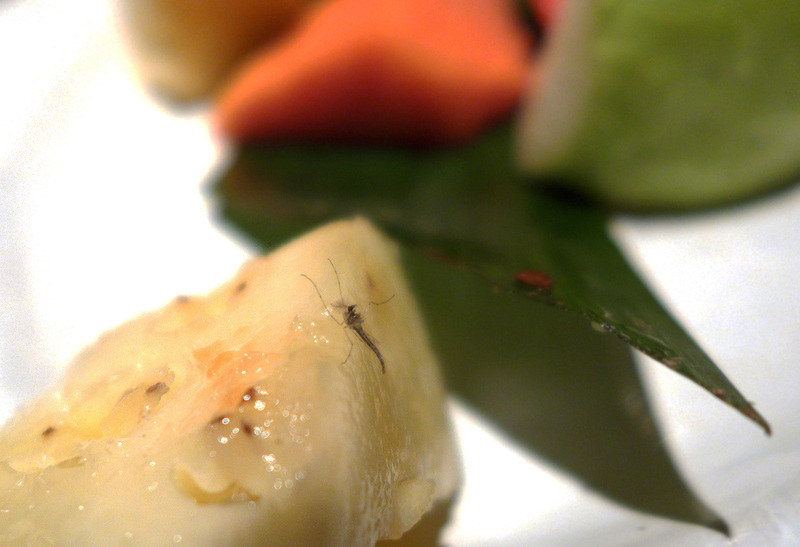 I must attract them as i`m always getting bitten.This little critter preferred the taste of Thai Pineapple rather than my legs on this occasion. The restaurant did change the dish. A little selection of Thai sweet treats arrive to accompany Coffee. 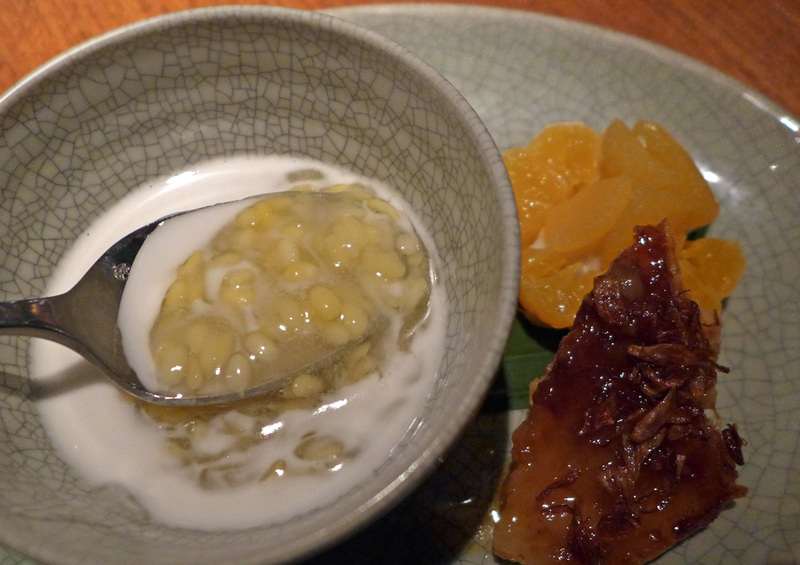 Little sweet puffed wheat balls on honey banana , half spheres of sweet Egg yolk , Young Coconut cream in icing sugar and shredded Coconut. To view all of the photos on Flickr then please click HERE. Previous Post Making the very best of Natures seasonal bounty. 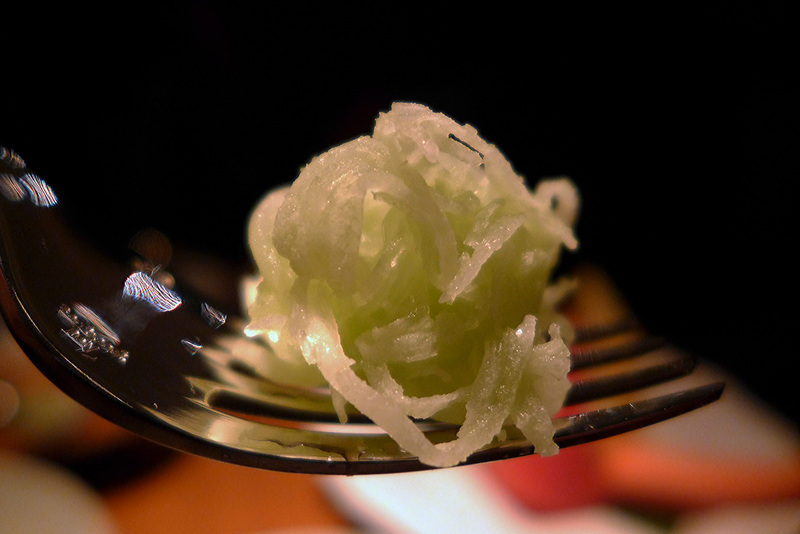 Next Post HEDONE – Ssshhhh , genius at work.